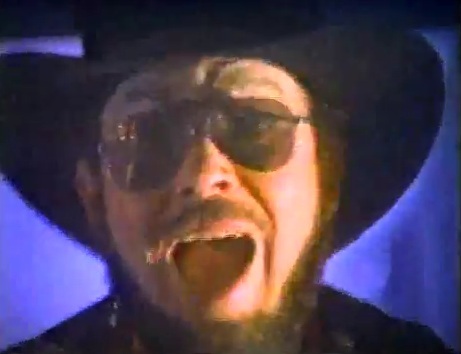 Ready For Some Football: A Liberal Defends Hank Williams Jr. Earlier today, Mediaite Managing Editor Colby Hall gleefully reported that ESPN had pulled Hank Williams Jr.’s iconic “Are You Ready For Some Football” song from last night’s Monday Night Football broadcast, in response to remarks that Hank made, on Fox and Friends, in which he compared President Obama’s golf outing with Speaker John Boehner to an outing between Hitler and Netanyahu. Hank tried to explain himself in a statement that Mr. Hall cruelly (if accurately) mocked. And about that Hitler comparison: yes, Hank’s excuse was poorly-stated, but in essence, he’s saying that his intent was to invoke a pairing of enemies in which President Obama was the villain. Should we be surprised that Williams didn’t have a stack of literary enemy-pairings at the ready? Dracula and Van Helsing, Holmes and Moriarty, Tom and Jerry, even Jar-Jar Binks and any Star Wars fan all would have done the trick, but this is a guy who thinks Nuance is a brand of shampoo for gay dudes. The point is, we don’t pay Hank Williams Jr. for his political analyses, or his needle-threading historical perspective. We pay him to get us Ready For Some Football!!! Now, I will confess that I can’t stand country music. There was about a year when, as a grade-schooler, I appreciated the wordplay and popular appeal of the form, but it wore thin. Sure, there are exceptions for the likes of Johnny Cash, or Merle Haggard, or exceptional practitioners of offshoots like Bluegrass (Earl Scruggs, for example, is the Jimi Hendrix of the banjo), but generally, that twangy steel guitar makes me want to ice-pick my own ears. No matter how you feel about the MNF theme (I still love the familiar instrumental), or President Obama, or even country music, ESPN’s decision to pull the song is a mistake. I’ve said for a long time that, in most instances of controversial speech, the best response is more speech, not less. When people get upset over something somebody says, it’s almost always a better idea to talk more about it, not less. In Hank Williams’ case, I don’t know that much about him, but judging by the fact that the only other song of his that I know celebrates alcohol and tobacco use, I bet this isn’t anywhere near the worst thing he’s ever said. If ESPN really gave a good crap about what Hank said, they could have devoted a few minutes of the broadcast to a discussion of it, and they could have even offered Hank the chance to fall on his steel guitar and abjectly apologize. What good, exactly, did pulling the song do? Is there an “Obama is Hitler” verse that we haven’t heard yet? (There might actually be one in that SNF theme. It’s so long, I’ve never listened to the whole goddam thing). If anything, it only served to make people resent Hitler even more (he needs that like he needs a hole in the head) for screwing up their football game. That guy is seriously evil! Suspending the Monday Night Football theme is not just a non sequitur, it’s also bad for America. Hank’s clumsy exercise of free speech is what this country is all about, but on another level, so is football. Thanks to Pete Rose and ‘roid-heads like Mark McGwire, it has replaced baseball as the national pastime, and despite the professional sports leagues’ spotty record, the sports themselves have always provided common ground, and a common language, that builds bridges between people with disparate beliefs and experiences. They unite us, and it is a mistake to contaminate them with the politics that divide us. This whole thing reminds me of a story Thom Hartmann told me last week. He was interviewing Joe The Plumber sometime during his 13th minute of fame, and he spent the entire interview asking Joe questions about plumbing. Joe (who is, for the record, a really nice guy) happily answered them all. Fox and Friends should take a lesson from Hartmann, and ask their guests questions about things they know about, and ESPN should let Hank Williams Jr. do the job he was hired for. We are ready for some FOOTBALL!